DNA analysis has confirmed 2 new species of deep-sea corals from the Atlantic marine monument. The expedition held for two weeks in September 2018; the scientist collected 29 samples from a dept of 369 m to 903 m using the mini-submarine. Atlantic monument was created by US. President Barack Obama in 2016 and is the first and only national marine monument in the Atlantic Ocean. The research team was led by deep-sea biologist Tim Shank of (Woods Hole Oceanographic Institution) and included co-PIs Taylor Heyl (Woods Hole Oceanographic Institution), Rachel O’Neill (University of Connecticut), and John Leichty (NASA’s Jet Propulsion Laboratory). Utilizing OceanX’s research and exploration vessel Alucia, the team explored and surveyed several of the unique deep-sea corals and habitats in the monument, which includes three underwater canyons deeper than the Grand Canyon. 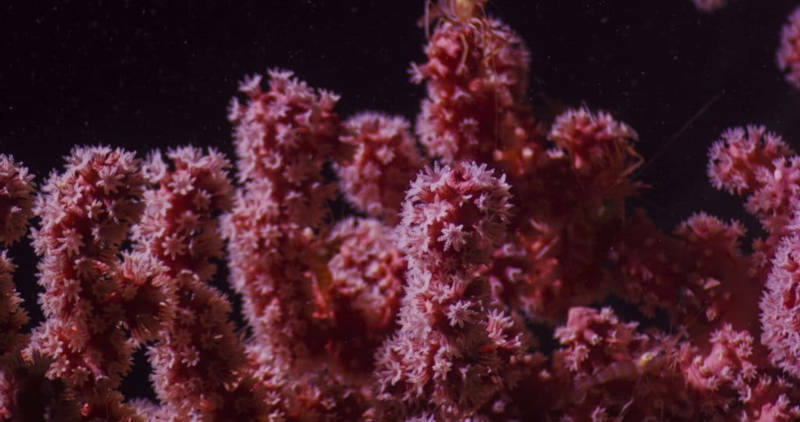 According to Heyl “The two likely new species found in Lydonia Canyon are bubblegum corals”. The biologist state that the deep-sea corals found in these cold deep habitats are much different than compared to the ones found in the shallow region. Corals found at these depths grow at an extremely slow pace. Corals at a size of a foot could be about 500 years old. These ecosystems contain more than 2,500 species living on and around them, including brittle stars, squat lobster crabs, and sea lily crinoids. This expedition was made possible through the $185 million funding from Bloomberg-Ocean X partnership and pledge for over the next four years. To facilitate ocean exploration and conservation around the world. Through the partnership, Bloomberg Philanthropies and OceanX aim to create a critical platform to increase the world’s collective understanding of and engagement in our oceans. So, you can read more on Woods Hole Oceanographic Institution official site.